Because divorce touches all aspects of a woman's life, the following site map will make finding the information you need easier. Each link will take you to several articles about the topic. Divorce Test - make sure you're making the right decision. Marital Separation - Protecting yourself when one of you leaves. How To Get A Divorce - How it works and what to consider. Legal Representation - Working with a lawyer and saving costs. Financial Issues - Dividing assets and debts. Do It Yourself Divorce - Information to help you out. Divorce in the Military - Benefits, custody, No Contact Orders and more. State Divorce Laws and Resources -You can access all the information and services you'll need during divorce for your individual state. Visitation Issues - Parenting plans, visitation rights, and problems. 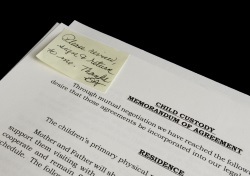 Child Support - How it's determined and more. Resolving Conflicts - parenting coordinators, PAS, relocation. How Kids Adjust - How children react to divorce, stepfamilies, and more. Parenting Divorce Articles - Tips for co-parenting with your ex. Single Parenting Tips - How to survive as a single mom. Emotions and Divorce - Articles on the emotional impact of divorce. I Don't Want A Divorce - Options when you don't want to break up. Deciding On Divorce - The mindset needed to make this difficult decision. Should I Divorce? - Doing a reality check before you decide. When to Get a Divorce - Weighing your options and looking at the core issues. Emotional Stages of Divorce - Understanding the various emotional reactions to divorce. How To Cope With Divorce - Re-grouping after your world is turned upside down. How To Survive A Divorce - Staying sane through all the changes. Christian Support For Divorce - How to help a fellow Christian going through a divorce. Divorce Reconciliation - When you're thinking about giving it another try. Should You Reconcile - Getting perspective on your feelings. Depression from divorce - How to get beyond the empty feeling. Dealing with The Pain of Divorce and getting over the loss. Regretting Your Divorce - Dealing with your doubts. Divorce And Guilt - Letting go of past mistakes. Practicing Forgiveness - Freeing yourself from resentment and grudges. Building Self Esteem - Learn how to start loving yourself again. Stress Management - Dealing with the stress of divorce. Handling Your Anger - Get help if bitterness if getting the better of you. Getting Past The Anger - Releasing the anger and resentment you feel towards your ex. Issues with Your Friends & Family - Answers to your questions. Healing After Divorce - Dealing with the raw emotions. Divorce and Depression - Learn how to deal with the dispair. Your Ex Gets A Girlfriend - How to handle your kid's reactions. Coping With Divorce - Dealing with the emotional issues of divorce. Commonly Asked Legal Questions - Understanding your divorce. Divorce Financial Help - Understanding your financial situation. 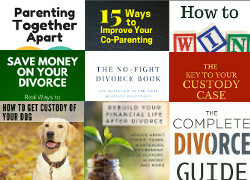 Contributing Divorce Experts to our site. How To Cope With Divorce - Adapting to all the changes. Moving On After Divorce - Learn a new perspective. Embracing Life After Divorce - Making changes and moving on. Rebuilding Your Life After Divorce - What it takes to move on. Regaining Your Self Confidence - Picking up the pieces so you can start anew. Dealing With Trust Issues - Letting go of past betrayal so you can trust again. Healing Your Heart- How to get past the bad feelings. Practicing Forgiveness - Letting go of resentment. Taking Care of Yourself - Realizing that you are important also. Financial Issues to Handle after Divorce - Tying up the loose ends. 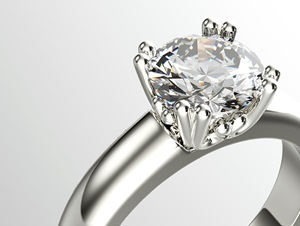 Reasons for Getting a Prenuptial Agreement and why it's important before you get remarried. Should I Get A Divorce? - Articles to help you with the decision. Abusive Relationships - How abuse affects you. Affairs and Infidelity - Understanding what's going on and dealing with the betrayal. Dating After Divorce - Tips to help you get started. Budgeting - Finding out where you really stand. Free Budget Worksheets to help you see where you stand. Money Saving Tips - Live well on what you have. Credit and Debt - How to keep your head above water. Employment - Returning to working or making a career change. Frequently Asked Questions - Directory of questions by topic. Divorce Questions on Legal Aspects of getting a divorce. Divorce Financial FAQS - How divorce affects your finances. Questions on Divorce Emotions - Strategies to cope. Children and Divorce FAQS - For issues involving children.